It is well known that Sigmund Freud was Jewish, as were many of his successors. But the first psychoanalysis patient ever was also Jewish – she was a Viennese young woman called Bertha Pappenheim, referred to as Anna O in the book about her case. Who was Anna/Bertha, and what was so special about her life that made her such a famous case study? 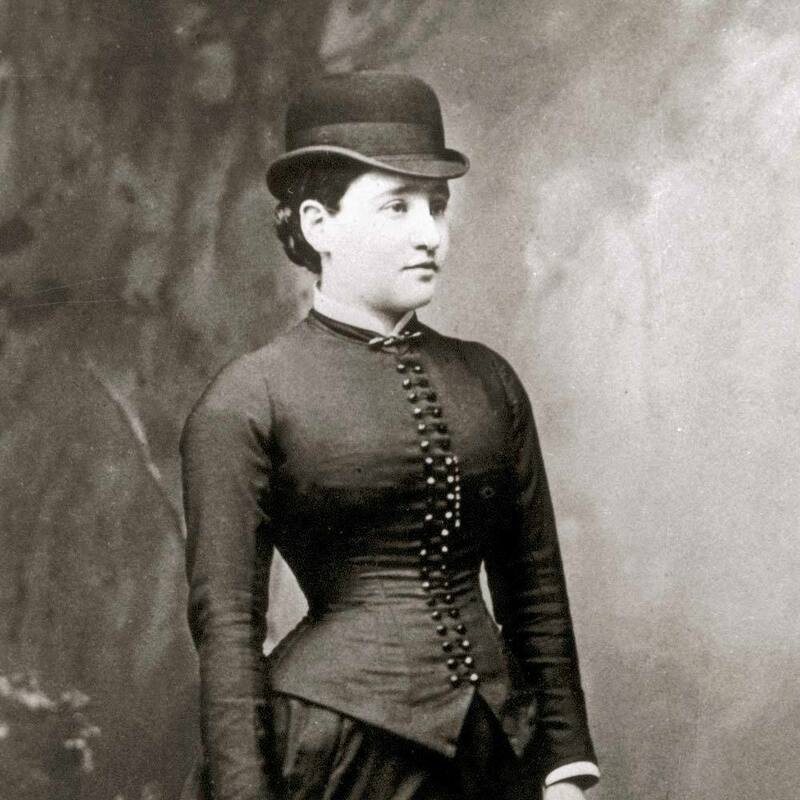 Bertha was born in 19th century Vienna to a wealthy Jewish family. She received fine education and was cultured and talented since a young age, mastering several languages, including Hebrew. As she was reaching the age of 20 she began to experience physical and mental crises. She had convulsions, shivers, occasional forgetfulness, phobias, right side limbs and neck paralysis and even temporary blindness and deafness. When she was 22 years old her beloved ill father, whom she carefully attended, passed away which made her condition deteriorate. It was time for the historical therapy to start. Though identified so closely with Freud, the two never even met. Bertha was never a patient of his, but rather of his instructor, Josef Breuer. 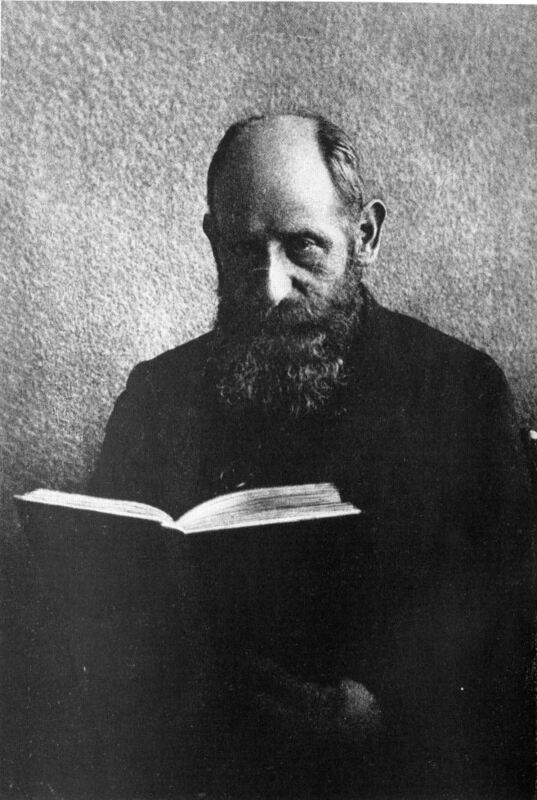 Breuer was a Jewish Austrian physician who tried to treat Bertha with Hypnosis, a technique widely practiced during the 19th century. It was usually used in order to correct the patient, however Breuer was trying a new kind of hypnosis which was not an attempt to correct Bertha’s ways, but rather to help her to unfold her suppressed memories and thoughts. He reckoned that the cause for her various symptoms was mental stress due to suppressed events, and that if she would become aware of them, her seizures would cease. Breuer was actually not far from the truth. He managed to treat some of Pappenheim’s severe symptoms, however some remained unhealed. Two years after they started their sessions, Pappenheim all of a sudden claimed that Breuer got her pregnant and she was about to have his child. Thought it was a typical symptom related to her mental illness, Breuer got scared and stopped treating her. 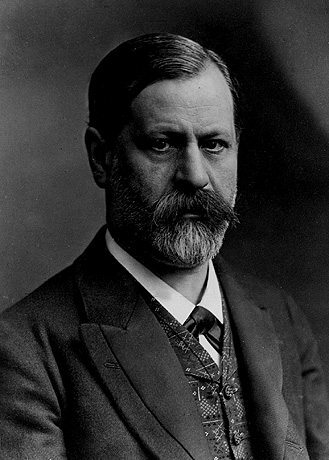 He told Freud all about his techniques but preferred not to publish the case, until Freud’s pressured him to do so. Eventually they published together the story of the patient which they called Anna O., introducing for the first time the revolutionary treatment, in their book Studies on Hysteria, in which Anna O’s case is widely discussed, as well as other patients. The book has become one of the fundamental publications in psychology in general, and of the psychoanalysis method. Pappenheim was not only a famous psychological study case; she had a fascinating life, and became a most influential feminist leader. Breuer waited a few years before publishing his findings, using a false name (Anna O) and this allowed Bertha to go on with her life. She made a special effort to hide her intricate psychiatrist past and managed to recover, going through a long healing process. After the therapy with Breuer she experienced more episodes but they gradually subsided and in 1890 she fully recovered and was able to lead an independent life. Pappenheim managed to fulfill herself in political and social activism regarding women’s rights. A passionate activist, she took care of orphan Jewish girls and opened a special home and educational institute for them. A wealthy woman, she had the resources for this kind of projects. In the beginning of the 20th century she launched on a new initiative: fighting prostitution, and helping Jewish prostitutes. Following the advancements in transportation and communication, networks of organized prostitution and women’s trade emerged. Pappenhaim did her best to fight them, and especially one group that was engaged in bringing women from Poland to Argentina. She established the Jewish Women League, and traveled worldwide to raise funds, from both Jews and non-Jews. She published articles in Jewish press and world press and in the 1920’s was already a prominent feminist leader. Taking on another important cultural and historical enterprise of researching her family roots, she found out she was a descendant of Glückel of Hameln, who lived in the 17th century and published her unique autobiography. Pappenheim translated Glückel’s book from Yiddish to German and produced a theater play in which she herself played the role of Glückel. 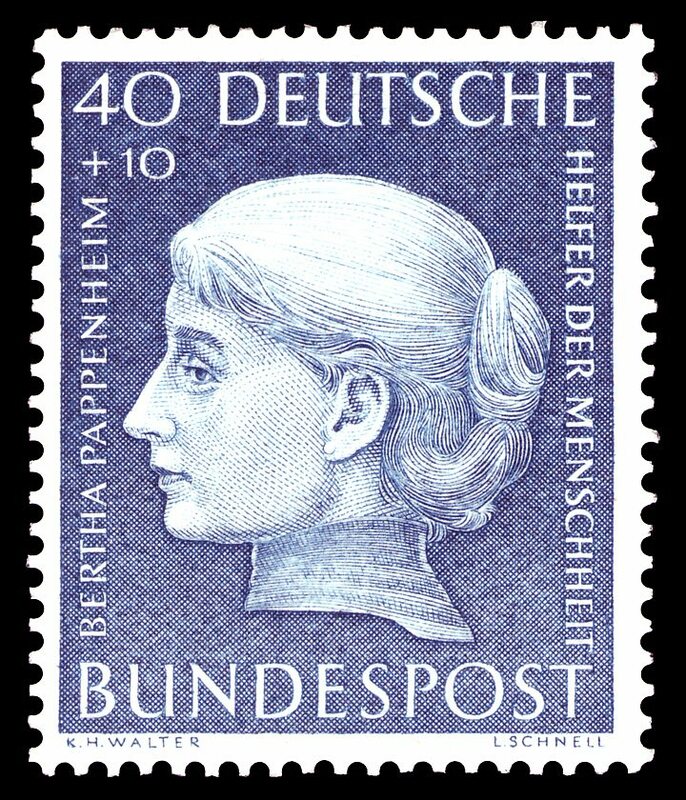 Pappenheim’s contribution to humanity was enormous in two aspects: as a patient (though not cured) she helped to establish a new psychological treatment method, which led Freud to develop psychoanalysis. And as an activist she fought for women and especially for the suppressed minority of Jewish women.